In recent years, the seroprevalence of anti-hepatitis E virus immunoglobulins (HEV) has increased in European countries with significant variability among the different geographical areas. HEV infection is spread in a wide range of animal species of which domestic pigs and wild boar represent the main reservoirs of genotype 3 and 4 (the genotypes present also in Europe). European citizens are incidental hosts, mainly infected by direct contact or consumption of foods derived from undercooked or insufficient hygiene handling infected pork products or wild boar meat. 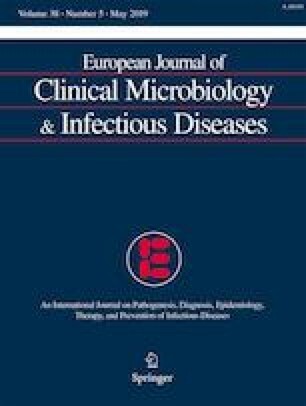 Epidemiologically, the HEV incidence is low in humans but serological data show a high proportion of subclinical infection caused by genotypes 3 or 4. In the general population, asymptomatic infection represents a high potential risk in particular subjects such as blood component recipients or occupationally exposed workers. This review offers a landscape of the current epidemiological status of HEV infection (genotypes 1, 2, 3, 4, 7) both in European asymptomatic subjects, patients with chronic diseases, and domestic pig impact on humans. We also underline advantages/disadvantages of high sensitivity and specificity tests using for detecting viral RNA or anti-HEV antibodies. L. Albano and Maria Vasco contributed equally to this work. • In developed countries, HEV genotypes 3 and 4 play a significant role in human infections via zoonotic transmission mostly occurs by eating undercooked pig flesh, raw liver, and sausages. • Environmental contamination of agricultural products and seafood via pig slurry and transfusion of contaminated blood products in recipients contribute to spread HEV in this area. • Combining the detection methods and the prevention of HEV infection in domesticated pigs, associated to a correct education on kitchen hygiene could provide reduction in the infection in the general population and in the specific groups.